Central Vietnam is your perfect destination if you are looking for spectacular fusion of amazingly preserved cultural and historical sites, the convenience of modern city, serenity of the countryside and long list of worthwhile activities. 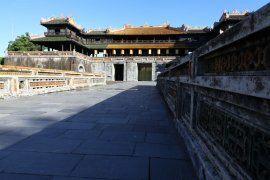 This article contains the top things to do in Danang and Hoi An. 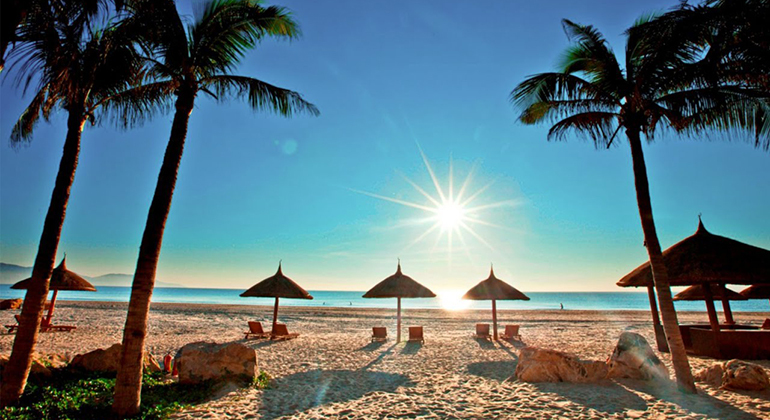 Due to its economic progress, Danang has great man-made places added to its already amazing white sand beaches and historical sites, you’ll surely love to discover. The city receives both local and international tourists but surprisingly the city is more subtle and convenient than Hanoi and Ho Chi Minh. 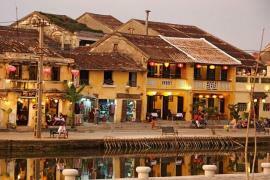 On the other hand, Hoi An is a small city in Central Vietnam known for its well-preserved Ancient Town. One of the most active trading ports in Southeast Asia, Japanese and Chinese influence are still dominant not only with the town’s culture and architecture but also with their cuisine. Danang was already known to the world for it was a major Southeast Asian port, but a short TV feature of the American soldiers while relaxing at the My Khe Beach during the war made the city became a tourist destination. My Khe Beach is the closest beach to the city that has clean blue water, amazing beach front and magnificent view of sunset. Several water sports are available but we highly suggest to book in advance. If you simply want to relax and get a cold and refreshing coconut juice, you can find stores with nice beach benches nearby. While you are at My Khe beach, you are mostly likely to see the huge mountain to your left, Son Tra Peninsula, easily distinguished due to the huge Lady Buddha Statue at the foot of the Monkey Mountain. The Son Tra Peninsula is home of many unique flora and fauna including the endangered Red Shanked Douc. 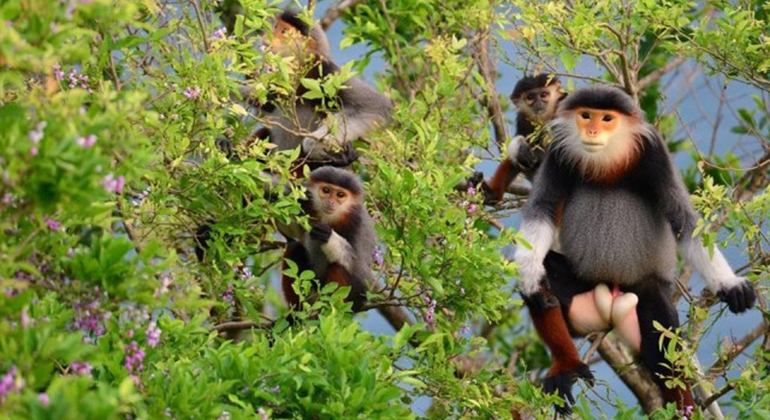 Watch out for these colorful monkeys as you trek up to the summit to get a panoramic view of Danang City. 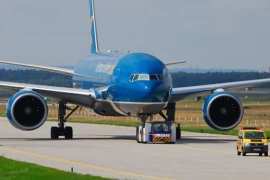 Some view decks are easily be accessible by motorbikes or cars as well. 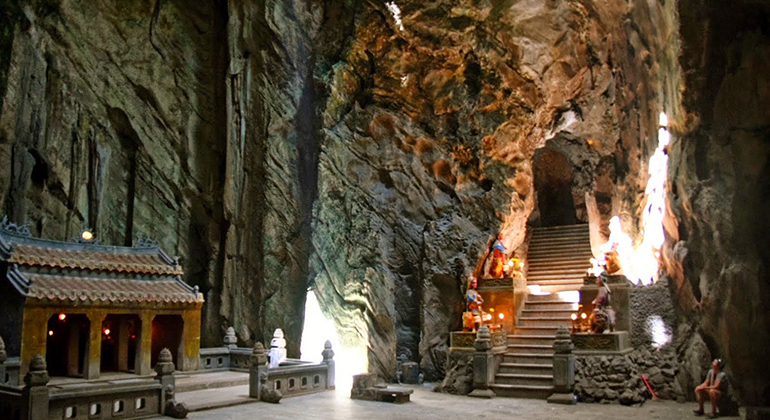 The top must-see place in Danang, Marble Mountain. This sacred place is a common destination for both local and foreign pilgrimages because of the wonders hidden in these mountains. There are quite a number of grottoes and temples in the mountain that you’ll need at least 2 hours to explore them all. Exploring the caves and the trek up to to are definitely a must thing to do, the view is utterly breathtaking . Hoi An Old Town is a UNESCO recognized World Heritage Site for its “exceptionally well-preserved example of a South-East Asian trading port dating from the 15th to the 19th century”. The unique and well-planned architectural designs of the Japanese-Chinese shophouses and a number French colonial makes the place even more interesting and picturesque. As you walk on the streets of Hoi An Old Town, you’ll discover tailor shops, silk products, lantern and even dishes that the town adopted from Chinese, Japanese, Indian and some other major traders then. Hoi An Ancient Town may seem small on the map, but you’ll definitely need a lot of time to explore the Japanese-Chinese bridge, assembly halls, museums and old shops. It is recommended to spend at sometime in the evening at the Old Town to witness the splendid lantern lighting after sunset. 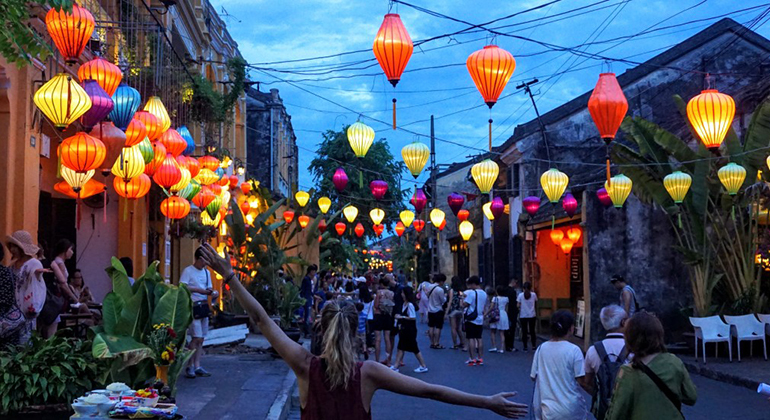 If you’re interested in following this Things to do in Danang and Hoi An, you can simply take a private Danang to Hoi An transfer for your safety and convenience. 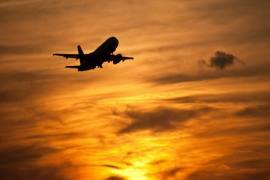 Transfer from Danang Airport to Hoi An service is also available.